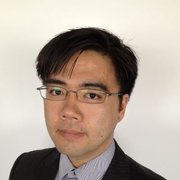 Keigo Kawaji, Ph.D. is an Assistant Professor of Biomedical Engineering at the Illinois Institute of Technology. He also holds an appointment as a Research Associate in Medicine at the University of Chicago Medical Center. Dr. Kawaji received his B.S.E. with Distinction in BME and a second B.A. in Mathematics from Duke University. He received his M.S. and Ph.D. degrees in Biomedical Engineering at Cornell University, specializing in Magnetic Resonance Imaging (MRI) instrumentation. Prior to joining the BME faculty at IIT, Dr. Kawaji first completed his postdoctoral training in the Department of Medicine at the Beth Israel Deaconess Medical Center in Boston MA, followed by joining the Research staff for the University of Chicago Medical Center’s Cardiovascular Imaging Center (Medicine) and later the Brain MRI Research (Radiology) Program. The MRTD laboratory was founded in the University of Chicago in 2014 to support a multi-departmental effort for novel technology development. Dr. Kawaji brings over 10 years of BME design experience for MRI systems used in the clinical setting, and has an extensive record in working closely with physicians in developing solutions through novel technology development. Dr. Kawaji’s research interests focus on the engineering development of novel MR-based biomarkers to study tissue disease and deaths, using dedicated tissue models in carefully controlled experimental settings, and novel BME instrumentation and clinical translation of new techniques for the MRI system in the hospital setting. He also pursues specific projects uniquely achieved through academic-industry partnerships; where a key goal of such partnerships is to design next-generation MRI system platform components that can potentially change the way how MRI scanners today would fundamentally collect data.